Who holds the key to your heart, your dreams or your secrets? These word keys allow you to share them with the world. 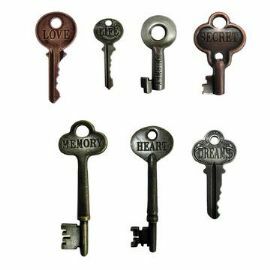 Dimensional metal keys inspired by old fashion designs have various words stamped into them and finished with the perfect vintage patinas. Are you ready to unlock your creativity? • Sizes range from 1&1/2 – 3&1/8"